Whether you’re new to Hexagon or have never modeled before, you’ll find this tutorial satisfies your urge to learn and helps you to produce amazing results as a modeler. 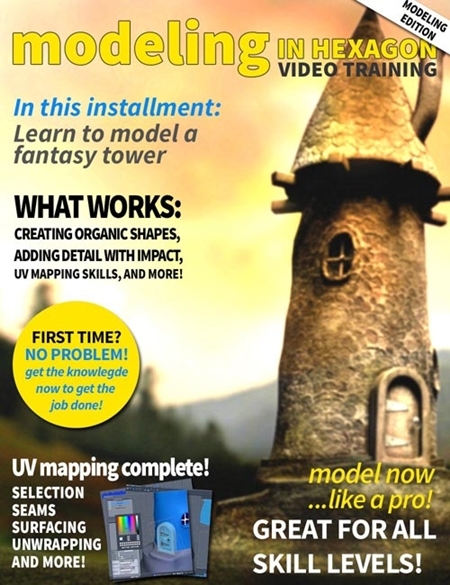 Included is a primer to Hexagon and video on packaging for DAZ Studio for people who are just starting out. The real value is in the meat and potatoes of this tutorial, which is the logical construction of this complete tower. Lessons are in simple, easy to understand, bite-sized chunks. You are set up for success, so jump in and start having fun modeling in Hexagon!